I had bilateral surgery in January of 08 – I found this web site around 6 months prior to that time and had the same reaction, what a godsend. After recovering from an arthroscopic surgery to my right hip in May of 07 and I had one on my left in March of 07, I was desperate as I was not getting any better. Both of my hips were bad and now I have no pain, just a desire to keep getting stronger. 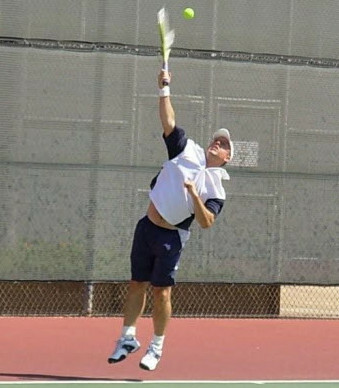 I am playing in a 45 and older tennis tournament this next weekend. I feel kind of funny chiming in on this one but I feel the need to give hope to my fellow female surface hippy’s to be. I had my left hip resurfaced on Monday July 27th with Dr. Schmalzried in Los Angeles . I was home from the hospital on Wednesday the 29th. The following Monday, August 4th I was able to be a wife to my husband again, although I wasn’t as active a participant due to some restrictions. However, a few days later I was just about back to normal. No one was more surprised than I was!!! on the road at about 6 weeks. remains on active duty today, at 53, to train fellow reservists. help in the war effort. Adding to the odds against him, he was packing two artificial hips. might have kept me from being beaten in large surf yesterday! 2 or 3 (10 being worst pain). I just found your website. Great work!! I had bilateral hip resurfacing Nov 22, 2004 by Dr. Schmalzried. 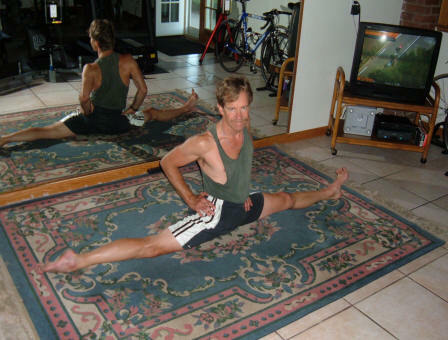 I would like to submit a recent picture of me doing front splits to demonstrate the possibilities. 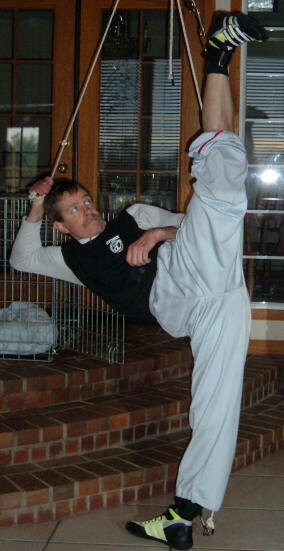 I have been training in Martial Arts for 32 years, been a long distance runner and currently race/ride in road bike competition. I am always happy to speak to anyone interested in this procedure to encourage and tell my story.